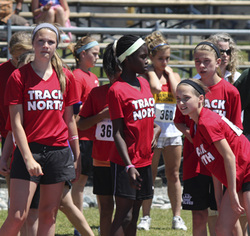 Welcome to the homepage of Track North Athletic Club based in Sudbury, Ontario! Associated with Athletics Ontario and Athletics Canada, its purpose is to develop athletes in the sport of track and field by providing an atmosphere of excellence in training and competition. Our next season begins in April 2019. For more information, see our Bobcat Page.